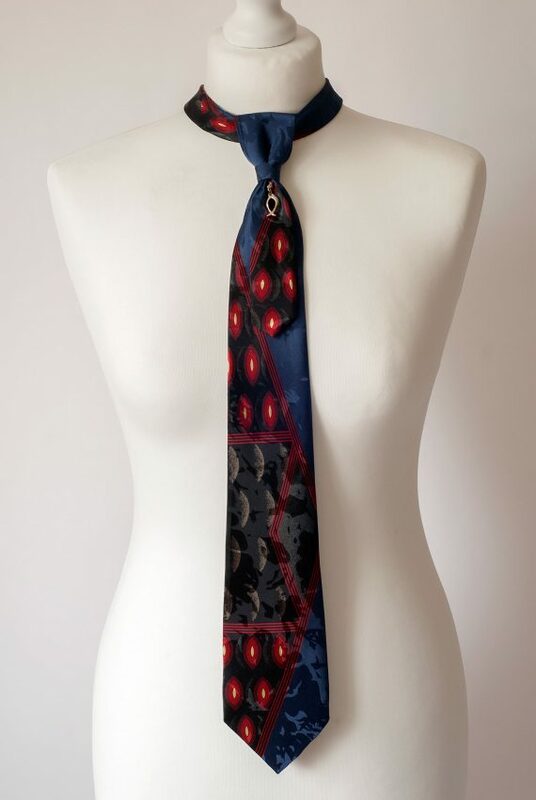 Navy and Black Necktie Handmade from Two Different Vintage Ties and Decorated with a Fish Shape Pendant. It’s Pre-Tied and has a Hook and a Slider Closure at the Back. For a Gentleman with a Great Sense of Style!